This map application shows imagery captured in 1938-1939 overlaid with Oak Ecosystems from 1939 (red) and remnant oaks still present in 2010 (orange). Current protected lands are also shown (speckled purple). A "spyglass" window can be moved over the map to show underlying modern day imagery. Users need to zoom into the map to activate overlaid layers. This tool can be used by land managers and site stewards, for example, to help understand the land history of their sites. The Oak Ecosystem recovery data was developed by Chicago Wilderness partner organizations. LINK for more information and their Regional Oak Ecosystem Recovery Plan. Green infrastructure at the regional scale is described by the Chicago Wilderness Green Infrastructure Vision (GIV). This map and policy describing the most important areas to protect in the region was originally adopted by Chicago Wilderness in 2004. 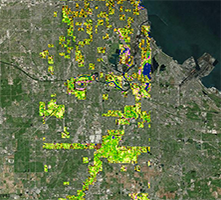 Working with The Conservation Fund, Chicago Wilderness refined and updated the mapping in 2011 -2012. This is a first attempt at mapping dense buckthorn (Rhamnus spp.) populations around the Chicago region for the purpose of establishing a baseline and monitoring this invasive tree/shrub. Users can submit presence/absence and removal locations of Buckthorn and Honeysuckle which will be used to enhance future versions of this map. This map is derived from Landsat-8 satellite imagery that compares two images in late fall when buckthorn still has it's leaves, and early winter when only evergreens and turf grass remain green. The northern Chicago focus is based on available imagery. Contact Mark Johnston on the About Us page for more information on this ongoing project. 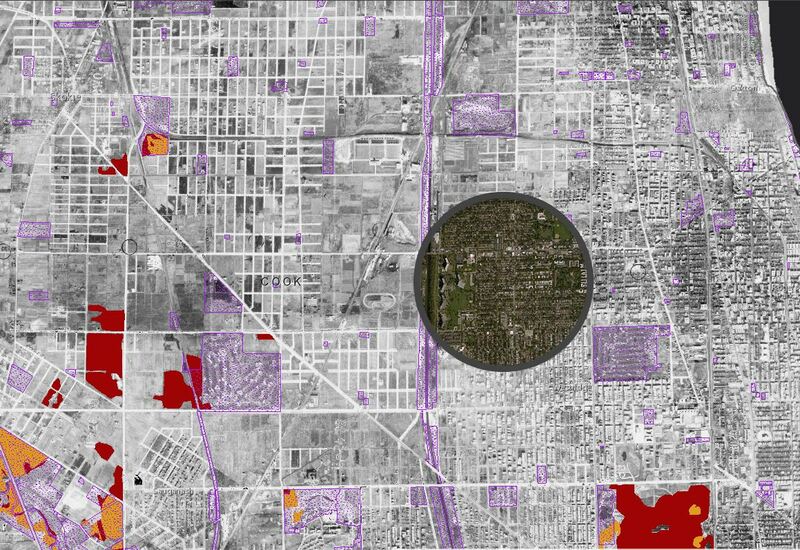 This preliminary dataset is a 12-class vegetation and land cover analysis based a high-resolution (6-inch) multispectral aerial imagery (late spring 2009), surface elevation data derived from LiDAR (2008), field studies, and in City of Chicago ancillary GIS data (buildings, edge of pavement). 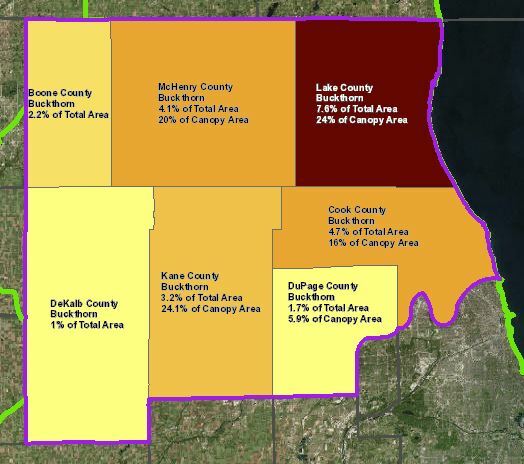 These are preliminary vegetation mapping results for the Cook County Calumet area. The Filipino Heritage StoryMap is a part of the Field Museum's project in co-curation. The objects on this map were selected by members of the Filipino-American community to reflect the heritage of the Filipino people. The Field Museum has imaged all of its primary snake types. A "type" is a preserved specimen that the published description of a new species is based on. This interactive map will allow you to zoom in and see the location where all of our type specimens were originally collected around the world. Hovering over locations will tell you the current species name for the type and provides a link to the museum's database for images and more information. The image shown here is the holotype of Atractus obesus, endemic to Colombia, which was described by the late Hy Marx in 1960.